Prof. Khan's research examines issues in law and economic history, including intellectual property rights, technological progress in Europe and the United States, antitrust, litigation and legal systems, and corporate governance. Several papers empirically assess the role of family networks in the mobilization of financial capital during early industrialization. Her work has been recognized by grants of the National Science Foundation; the Leonardo da Vinci Fellowship; and the Griliches Fellowship, which the NBER awards once every two years to an empirical economist. Her book, The Democratization of Invention: Patents and Copyrights in American Economic Development, 1790-1920 (Cambridge University Press and NBER), received the Alice Hanson Jones Biennial Prize for outstanding work in North American economic history. Prof. Khan is fond of jazz and rock music, Boston (the city), Expressionist art, black and white movies, biographies, and nineteenth-century novels. If she weren’t an economist, the difficult choice between restaurant reviewer and chef would be resolved by her taste for consumption rather than production. Prof. Khan holds a First Class Honours B.Sc. degree in Economics, Sociology, and Statistics from the University of Surrey in England; an M.A. in Economics from McMaster University in Canada; and a Ph.D. in Economics from UCLA. She is a Research Associate at the National Bureau of Economic Research (NBER); and was a Hoover National Fellow at Stanford University (2014-15). 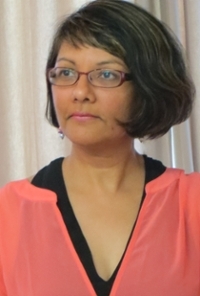 She has been a Fulbright Scholar, Senior Fellow at the Lemelson Center, and Research Fellow at the Institute for Advanced Studies at Australian National University; as well as a visiting professor at the NYU Law School, UC Berkeley School of Law, UCLA School of Law, Harvard University, the NBER, and the London School of Economics (2015-2016). 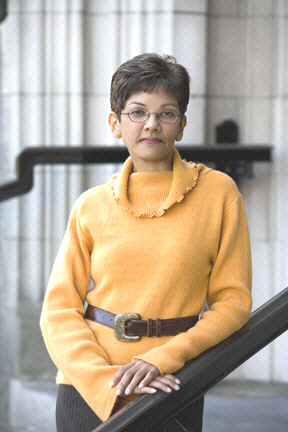 P rofessor Khan specializes in the economics of innovation and enterprise. Her first book, The Democratization of Invention: Patents and Copyrights in American Economic Development, was awarded the Alice Hanson Jones prize for the best work in American economic history published in two years. A forthcoming book analyzes the evolution and effects of such incentives for technological innovation as patents and prizes, in the U.S. and major European countries from 1750 through 1930. The findings have informed policy in Congress, the World Bank, the Commonwealth Secretariat, and the British Commission on Intellectual Property Rights.